Warpaint hasn’t released an album in over three years, which is about as long as Hollywood gives a franchise before rebooting it. Warpaint is also a reboot of sorts. Working with renowned producer Flood, the L.A. quartet that gave us The Fool have vastly revamped their song structure. Stella Mozgawa and Jenny Lee Lindberg’s drum and bass interplay is the predominant feature of every selection. “Love Is To Die” is a hypnotic goth-stravaganza. Immediately after this, “Hi” gets into a boxing stance and delivers a spectacular Wu-Tang-esque loop. Emily Kokal and Theresa Wayman’s vocals walk a fine line between exquisite seduction and demure anguish. “Teese” best balances these conflicting emotions, making lyrics like “I’m in heaven” more reverent than cloying. The biggest surprise is “Go In,” a bluesy experiment that does Mule Variations-era Tom Waits proud. Somnolence sets in at, of all places, a song called “Feeling Alright,” where Kokal and Wayman start to sound as if they’re perpetually in peril. 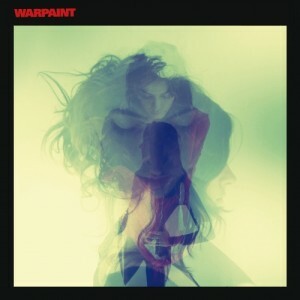 Warpaint is so immersed in murkiness that any attempt at liveliness rings false. The band’s idea of branching out ventures into monotony in the album’s home stretch. Letting Lindberg’s bass provide the major melodies while the guitars supply depth and texture is an impressive change of pace nonetheless.